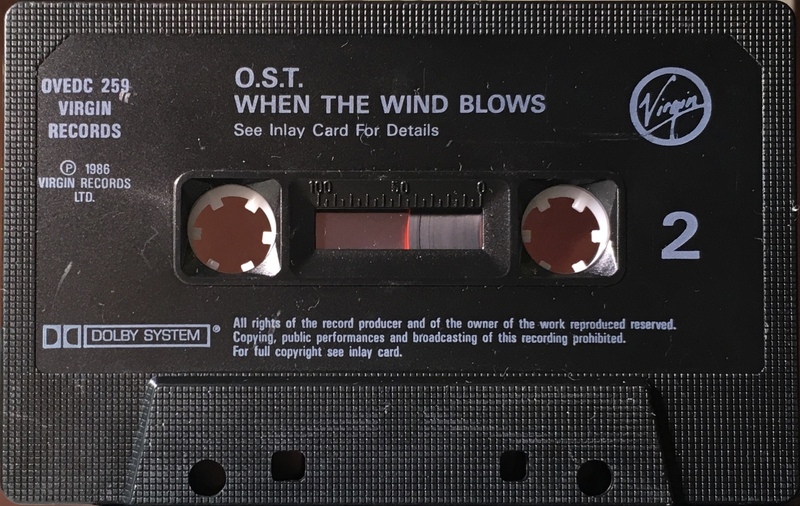 When The Wind Blows: UK; Virgin, OVEDC 259; 1986. 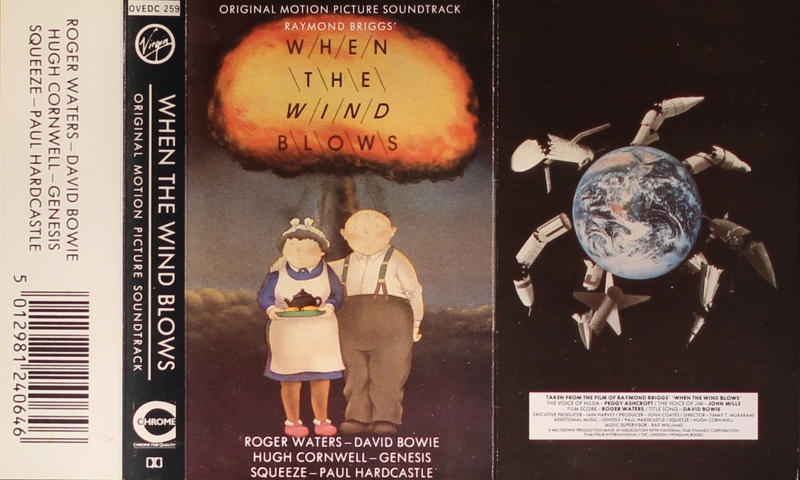 ‘When The Wind Blows Original Motion Picture Soundtrack’. 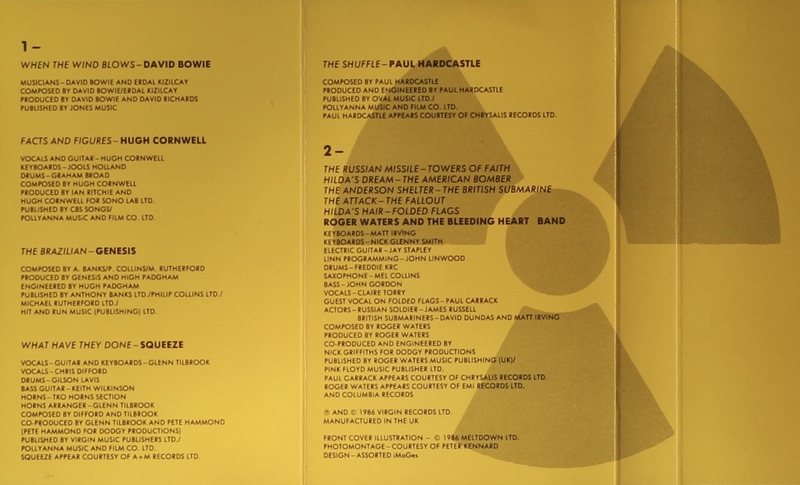 Full photo cover with: black spine; white rear half-panel; black picture inner panel and, yellow inside panels on folded, thick paper with track list on the inside panels. Movie information on the inner picture panel. The same cover as the EU issue is used. 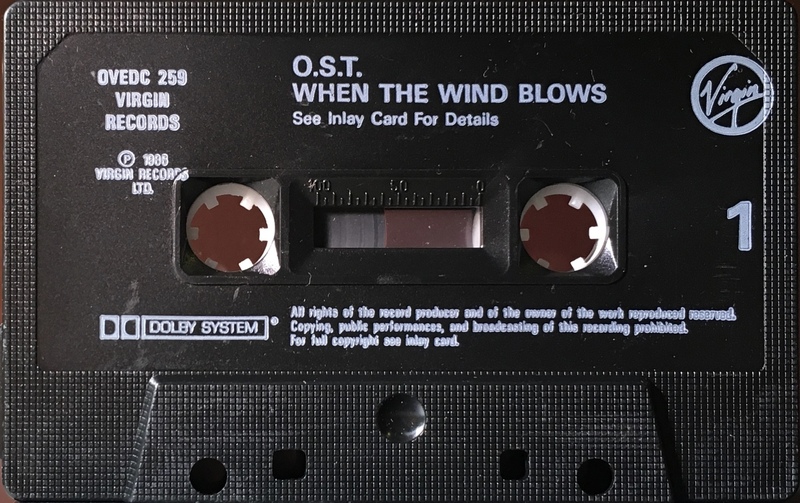 David Bowie performs on one track: ‘When The Wind Blows’ on Side 1. Silver ink printed directly to black shell with ‘Virgin’ and ‘Chrome’ logos and all information in English.